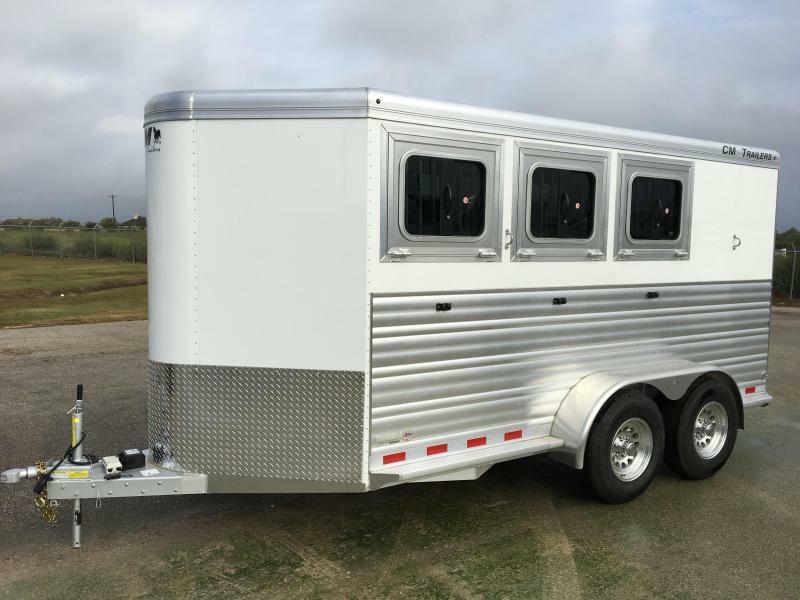 New & Used Horse Trailers for Sale in Jarrell, Texas. Platinum Coach, Merhow, Sooner, and Exiss Horse Trailers. Our Platinum trailers have custom-built, high-end living quarters conversions. Special order a custom-built Platinum trailer today! 2 Horse Trailers, 3 Horse Trailers, and 4 Horse Trailers in stock now. Side Load and Reverse Load Trailers Available. CM Renegade Aluminum 3 Horse Bumper Pull Trailer, drop windows on the head, dressing room, rear tack, plexi glass, 16" aluminum wheels.